Yesterday Facebook announced that it was completely designing application Facebook Messenger , creating a more interesting experience to attract more users to the install on their smartphones and tablets. The new version is being deployed at this moment to a limited number of users , with the release to others in the coming weeks. I explained that you can expect from the new version of Facebook Messenger and even a link where you may download and enjoy the now. new that appears in this version of Messenger, you can find that support for SMS not seem to go away at some point as said Facebook to regard, as the application still asks for permission to read and send text messages. This new version allows users send messages to contacts who are not on the list of friends for Facebook, scanning the list of telephone numbers to those associated with Facebook accounts and allowing communication even without sending a friend request. The new user interface is more like the iOS 7 to holo of Google, wondering if what it claims Facebook is save efforts to differentiate the two applications. It looks like an Android application, but one can not forget certain moments that we are facing Facebook Messenger, more to customers reminding others of Facebook more than anything else. The speed with which one can send messages is the highlight, hoping that the other products of the company will follow suit. 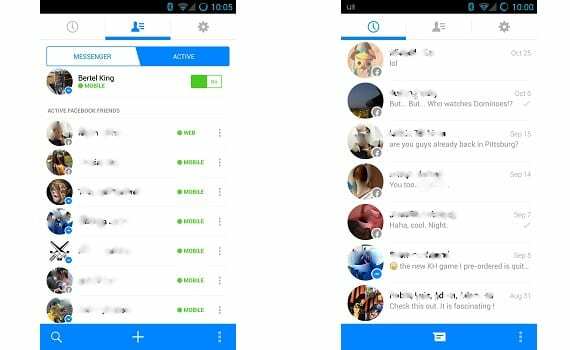 Another thing you will see at first glance is the appearance of a tab showing those who are online on Facebook and those who use mobile application or desktop, with a blue to see who is using the Messenger application. To download the APK , must uninstall the version that you have in your device , and go away to Google Play to disable automatic updates. For who knows what reason, Messenger has internally a version lower than that offered in the Google store, so when you take actualicéis same. 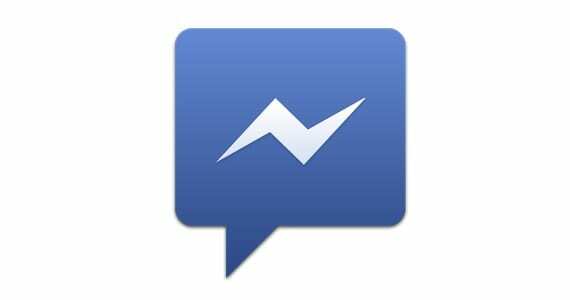 from this link and from this other can download Facebook Messenger APK , having made those steps above.